“TAM-818,” developed by Bill Andrews,Ph.D. (Sierra Sciences, LLC.) 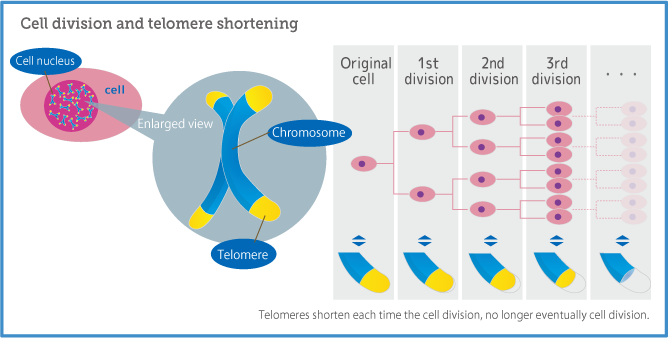 in 2014, is a state-of-the-art substance that prevents telomere shortening. owever, it is possible to coax that repressor protein off its binding site with the use of a small-molecule, drug-like compound that binds to the repressor and prevents it from attaching to the DNA. 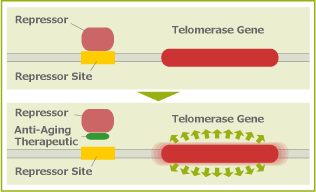 If we find the appropriate compound, we can turn telomerase on in every cell in the human body. Oct 5 "Bill Andrews,Ph.D Coference in Japan"
Copyright© 2016 IATM All Rights Reserved.